"The Booking/ Reservation" shall mean any part, or all of the travel arrangements for transportation, accommodation, sightseeing and other linked travel services made on behalf of the Client with the Suppliers, and excludes services of a peripheral nature. "Maplanga"shall mean Maplanga Africa Marketing CC, and/or anyone acting for or on behalf of Maplanga, provided such person has been duly authorised and is acting within his or her scope of duty. "The Client"shall mean the person who applies (directly or indirectly) to Maplanga for Maplanga's services. The aforesaid will include but is not limited to a person who applies for his own use or benefit or that of any other person and whether applying as principal, agent or sub-Contractor. The Client shall include any other person on behalf of the Client or whom the Client, represents and includes the Client in Maplanga's Application to do Business form. "The Conditions"shall mean these terms and conditions and those of the Principal, where applicable. "The Traveller"shall mean any person (whether or not such person is the Client) who utilises or obtains any benefit from the Services of Maplanga. The Traveller shall include a potential Traveller. "The Travel Agent / Consultant"shall mean any other party who has made or secured any travel bookings or arrangements for the Client, other than Maplanga. "The Services"shall mean any travel or other service facility, product or matter incidental thereto of whatsoever nature arranged or to be arranged by Maplanga (whether directly or indirectly) to or for the "Client or the Traveller". The aforesaid shall be used interchangeably and shall include inter alia but not be limited to the providing of advice or information, the booking of reservations for accommodation, transport or the like (whether by air, sea, land or otherwise), the application for passports, visas or other travel contracts, the arranging or obtaining of insurance, any other service or facility (even though not specifically requested by the Client or the Traveller) provided by Maplanga or which Maplanga in its sole and absolute discretion deems necessary or ancillary to the services of facilities requested, or anything else associated with or related to travel. "Peripheral Requirements / Services" shall mean, inter alia, obtaining or meeting the requirements for passports, visas, health documents, insurance, foreign exchange, Reserve and other bank approvals, use of credit cards, customs and immigration regulations as well as other peripheral requirements or services falling outside the actual travel arrangements made with Principals and other parties for whom Maplanga acts as intermediary. "The Principal/Supplier"shall mean the provider of accommodation, transport, and all other relevant services or products arranged by Maplanga, or any services ancillary thereto provided by the Principal or any other party. Maplanga Africa (Pty) Limited, Registration Number 1998/55793/23 ("Maplanga") is an intermediary as defined in the Consumer Protection Act 68 of 2008 which provides clients with travel and/or other services on behalf of principals and/or other agents engaged in, or associated with the Travel Industry, including inter alia, air liners, tour operators, hotels, shipping companies, car hire and other providers of air, land, sea or any other travel arrangements, products or services (collectively referred to as 'the Suppliers'). Maplanga will endeavour to provide the Client with the identity as well as the terms and conditions of all Suppliers, if such terms and conditions are in the current possession of Maplanga (and should it be so necessary), and it is the Client's responsibility to familiarise him/herself with such terms and conditions and to obtain further clarity regarding the terms and conditions imposed therein from such Suppliers. These terms and conditions ("t's and c's") shall apply but not be limited to TigerFishingZambezi.com, Vicfallsconnection.cpm, BotswanaConnection.com and ZimbabweConnection.com These terms and conditions will govern all future dealings between the Parties and may be amended from time to time. As a client it is your duty to make sure that you understand the t's and c's which apply to your particular arrangements in addition to these general t's and c's, and Maplanga will make available to you the terms and conditions or websites of any and all Third Party Suppliers that may apply. All bookings are made with Maplanga and no person has any authority on its behalf to vary any of the t's and c's which are applicable. A non-refundable deposit of R2500 per person or 50% of the total value of the package or the total value of the flights or as individual deposit requirements from service providers stipulate, whichever is the higher, is required within the stipulated period indicated in the invoice. The balance is due five weeks prior to the date of departure. Should a client elect to pay the deposit and then pay the balance due within five weeks of departure date, the client acknowledges that the price may increase due to foreign exchange fluctuations, airline rate increases or any other related cost beyond the control of Maplanga, which costs will be solely for the Client's own account who will settle the incremental costs immediately when same becomes due. Maplanga therefore reserves the right to increase the tour fares due to any increase in airline tariffs, fuel costs, game reserve fees, or fluctuation of exchange rates if full payment has not been made by the client. In the event that airline payments are required within 24 hours, deposits need to be received within 24 hours of receipt of the client's invoice to prevent cancellation of the fare by the relevant airlines. Should an airline cancel a client's seats due to non-payment, the client will be responsible for the difference in seat price, should Maplanga be unable to re-instate the booking on the original seat class. Once tickets have been issued, routing changes (including adding, removing, or changing stopovers or connections) may not be permitted by all airlines. If a routing change is needed, the ticket may need to be submitted for a refund and a new ticket purchased for the new travel routing. (Please see the section on Cancellations, below). If you have booked a flight and we are alerted to a significant schedule change by your airline before you depart from South Africa, we will contact you by email to advise you of this. Please ensure that you have given your contact email address to Maplanga and that you regularly check for messages before you leave. Maplanga has no control over airline schedule changes and accepts no liability for costs which may arise as a result of such changes. After you have left South Africa, it is your responsibility to check with the airline that any onward or connecting flights (whether local or international) you have confirmed are operating as booked. We strongly recommend that you contact your airline at least 72 hours before the scheduled departure of each flight to do this. Please note that for some airlines it is mandatory to confirm with them your intention to fly. No Liability and/or responsibility on the part of Maplanga will apply if a significant change is made to your booking for reasons beyond our control. These include (but are not limited to): force majeure, war, threat of war, riots, civil disturbances, terrorist activity, industrial disputes, natural and nuclear disasters, fire, epidemics, health risks, and changes due to rescheduling or cancellation of flights by an airline or alteration of the airline or aircraft type; closed or congested airports or ports, hurricanes and other actual or potential severe weather conditions, and any other similar event. Any special requests must be addressed to Maplanga in writing well before the departure date. Whilst Maplanga will use its best endeavours to accommodate such requests, it does not guarantee that it will be in a position to meet all demands. Maplanga only acts as an intermediary between the Client and the Suppliers, and accordingly on receipt by Maplanga of any request for a booking(s) in a brochure or tailored quote, Maplanga shall transmit any such booking to the Suppliers concerned and endeavour to secure timeously all reservations and arrangements. All quotations or estimates provided by or bookings made with and/or all services rendered or vouchers, receipts or tickets issued by or on behalf of Maplanga are subject to these t's and c's as well as those of any Supplier. The Suppliers may be acquitted from responsibility in that they act as agent themselves or have contracted out of liability, as may the ultimate Principals such as hotels, car hire and coach operators, and it is therefore recommended that appropriate insurance be taken out by all travellers. Maplanga does not accept liability to the Traveller for any actions, errors or omissions of the Suppliers and/or their agents, which may be prejudicial to the Client or result in loss in any way or form whatsoever, including injury, illness, harm, trauma, death and/or loss of or damages of whatsoever nature or kind and the Client indemnifies Maplanga accordingly. Information in brochures and sales material regarding lodges and activities are a fair and honest representation of services offered. Maplanga cannot be held responsible for any variance in expectations. Any right of recourse the Client may have will be solely against the Suppliers. Neither Maplanga nor any related Maplanga representative shall be liable for any injury, illness, harm, trauma, death to the Client or any other passenger and/or loss of or damage howsoever caused and the Client indemnifies Maplanga accordingly. Maplanga, its directors, employees and agents shall furthermore not be liable for any indirect and/or consequential loss or damages whatsoever even though this may be as a result of negligence on the part of Maplanga's employee(s). In the event of any liability attaching to Maplanga, liability shall be limited to a maximum of R5000 (Five Thousand Rand) per Traveller. It is recorded that the client may be required to sign an indemnity form at certain lodges, before undertaking safaris or before undertaking any activities. Wherever possible, Maplanga will endeavour to confirm the status of any booking in writing, but any failure to do so shall not be considered to negate the validity and conditions of the booking or to constitute an act of negligence on behalf of Maplanga. In the event of there being an unscheduled extension to the booking caused by flight delay, bad weather, strike or any other cause that is beyond the control of Maplanga, expenses relating to these unscheduled extensions (hotel accommodation, etc.) will be for the Client's own account. Any bookings received, or amendments to bookings received within 7 (seven) working days prior to the departure date may be subject to a penalty fee, to cover communication and other expenses involved. Unless full payment is due at the time of making the booking, all bookings must be accompanied by the requested deposit or guarantee (see clause on Deposit above). Maplanga reserves the right to cancel any booking without prejudice, in the event of full payment or a deposit or part thereof not being received. Should the client amend his/her booking at any stage, either in the form of a date change, itinerary amendment or any other change whatsoever, Maplanga reserves the right to charge an amendment fee of R300 per person. The price quoted to the Client is based on fares, hotel prices, land costs and other relevant costs at the date of the Maplanga's quote. In the event of there being any increase in any of the foregoing costs prior to the issuing of the documents, such variation shall be for the Client's own account and payable on request by Maplanga, as shall any increase in the price(s) quoted arising from the fluctuation in rates of exchange. Documents will not be issued until such time as the full payment is cleared by Maplanga's bankers. The onus will be on the Client to check that there have been no changes in the price prior to making full and final payment. Airfares are subject to the fare and fare rule conditions quoted by the air liners and cannot be guaranteed by Maplanga. Should the Client's be a group booking and the group number deviates from the number required for the booking, the Suppliers may reserve the right to re-cost the price and raise a surcharge. Should the Client or any party of the Client's group refuse to accept and pay such surcharge, it may result in the Suppliers cancelling the booking and retaining any payment made. Maplanga will be entitled to retain any service fees charged. Where direct payments for services such as park fees are required to be made by the client, Maplanga and their service providers cannot be held liable for any fluctuations that may occur. Maplanga takes no responsibility in the event of an airline's default, cessation of service on a ticketed route or schedule change. Travel insurance that covers airline default is STRONGLY recommended. Maplanga takes no responsibility in the event of an air liner or any other third parties, including any Supplier's default, cessation of service on a ticketed route or schedule change. Travel insurance that covers this default is STRONGLY recommended. Flight Prices are not guaranteed until tickets have been paid for in full and issued. The full amount due by the client to Maplanga shall be payable not less than five weeks prior to the date of departure. If the full amount is not paid in due time, Maplanga reserves the right to treat the booking as cancelled. Bookings made within five weeks of the departure date must be paid in full immediately. Final payment is based upon the quoted and confirmed price, less any deposit paid, plus any additional charges that may have been incurred. Aside from passport, visa and other peripheral service fees ("additional fees"), Maplanga reserves the right to claim late booking charges, communications, consultation, administration and amendment fees where reasonably applicable. Tickets: As soon as Maplanga receives payment, it will begin ordering and issuing tickets (flight confirmation will be sent as soon as the deposit is received). Tickets will be issued as e-tickets. Late Payment: If the final payment is not received on time, the travel documents can be delayed. Alternatively, Maplanga may cancel the booking. Late payment may also result in cancellation of the reservation by the Third Party Service Providers. Payment by credit card: When paying by credit card the Client will be required to complete Maplanga's credit card/booking authorisation form and comply with the authorisation criteria as laid down by the respective Credit Card Companies and/or the International Air Transport Association (IATA). All major South African debit and/or South African credit cards, if accompanied by satisfactory identification and a signed credit card authorisation form. Electronic funds transfer (proof of payment must to be faxed or emailed to Maplanga). Maplanga does not accept payments made by cheque. Maplanga STRONGLY recommends that travel insurance, including but not limited to personal and baggage insurance (over and above the phase one insurance offered free as standard for international travel by the various credit card companies. The onus is on the Client to check the specific details of the complimentary cover with his/her respective credit card company directly), be purchased for the duration of the Client's journey. Insurance can only be purchased prior to departure. It must be noted that cancellation insurance is compulsory for all Maplanga bookings and it is the client's responsibility to arrange such insurance. It shall not be obligatory upon Maplanga to effect insurance for the Client. Maplanga shall not be obliged to obtain separate cover for any risks so excluded. Nor shall Maplanga be under any obligation to affect a separate insurance for each customer, but may declare it on any open or general policy. Maplanga will not be responsible if the Client fails to take adequate insurance cover. Queries must be addressed to the principal insurer, as Maplanga shall not in any way be held responsible for any and/or all information advanced by its staff in this regard. Should the insurers dispute their liability for any reason, the Client will have recourse against the insurers only and Maplanga or any person acting for, through or on behalf of Maplanga, will not be held under any responsibility or liability whatsoever in relation thereto for any loss caused by delays, sickness, Acts of God, cancellation, curtailment, medical expenses, default, baggage, loss, injury, death or for any other loss which may arise during the course of the booking and or travelling. Maplanga will, on request, endeavour to assist the Client with Peripheral Requirements or Services. However, Maplanga cannot be held liable for ensuring that these Peripheral Requirements and Services are provided correctly or timeously or at all, nor ensure the accuracy of any information or any lack of information relating to such Peripheral Requirements and/or Services. The client further acknowledges that in doing so, Maplanga are not assuming any obligation or liability and that nevertheless the responsibility to ensure that all documentation is in order and complies with such lawful and other requirements to enable the client to enjoy the benefits of the tour, remains the client's. It is important that the Client provide Maplanga with the travellers' full names as per the passenger/s travel documents (Passport). Failure to do so could result in denied boarding or deportation due to name mismatch information. Please confirm that all of the travel arrangements, itinerary details and documents are correct. Once documents have been issued, name changes are not permitted to air liner's tickets and any change thereto will require that the ticket/s are submitted for a refund and a new ticket is issued. Any financial penalties imposed by the service provider(s) as a result of name changes will be payable by the Client. The client further acknowledges that it is his/her responsibility to ensure that he/she is in possession of the necessary travel documents that may be required in respect of the proposed tour and itinerary as well as all health and other certificates that may be required from time to time. Other documents that may be required for the Client's journey are the Client's identity document, an international driver's license, inoculation certificates and hotel, car and tour vouchers. The Client is to please ensure that he/she checks all of these documents at the time of issue where applicable, prior to the Client's departure. The Client is responsible for obtaining any necessary visas and travel permits for all countries that the Client will be travelling to or transiting through, and for informing him/herself as to which countries/areas within countries require visas and/or special permits. Visa and entry requirements may vary depending on the Client's nationality, the length of stay, and the purpose of the visit, among other factors. Visa information and visas can be obtained by contacting the Consulate or Embassy of the countries involved or from a visa service company. It is entirely the Client's duty to ensure that all passports and visas are current, valid, obtained on time and that the Client's passport will be valid for six months to one year after the Client's return to his/her home country and contains sufficient blank pages (for visa issuance) and that any vaccinations, inoculations, prophylactic (e.g. for malaria) and the like, where required, have been obtained. The Client is to check the requirements with Maplanga and/or the Client's Travel Consultant before travelling. The Client acknowledges that any advice given by a Travel Consultant should not be interpreted as legal advice concerning visas, entry requirements, immigration, or residency. Maplanga will endeavour to assist the Client but such assistance will be at Maplanga's discretion and the Client acknowledges that in doing so, Maplanga is not assuming any obligation or liability and the Client indemnifies Maplanga against any consequences of non-compliance. It is specifically noted that Maplanga cannot be held responsible for denial of the Client's visa application for any reason; Delay of issuance of the Client's visa by the relevant consulate or High Commission; Loss of the Client's passport(s) by the consular offices and/or courier; Change in visa costs and requirements; Financial losses incurred as a result of a visa application being denied; Passport application delays; incorrect issuance of passport or visa. Cancellation by the Client:In the event of cancellation of the booking for any reason whatsoever, partially or in full, by or on behalf of the Client, Maplanga reserves the right to claim the services, administration, communication and cancellation charges which will vary depending on the debits Maplanga receives from its Suppliers. Failure to cancel will result in the total booking cost being payable. 6 weeks prior to travel - 100% of full payment will be forfeited. No-show or non-acceptance of Lodge/activity- 100% of full payment will be forfeited. If your airline tickets have been issued, a cancellation fee of 100% of the deposit will be charged, regardless of date of cancellation (see also 64 below). Should the airlines decide in their own discretion to refund you for any airfare confirmed and then cancelled regardless of date of cancellation, Maplanga will be entitled to retain 10% of the total value of the flights. Maplanga act only as agents for airlines and accordingly accept no liability for any loss or damage which any passenger may suffer as a result of the failure of such principals to fulfil their obligations, whether in relation of default, cancellation, delays, liquidation or for any other reason which may for whatever reason so arise. Cancellation by Maplanga:Maplanga reserves the right to discontinue and summarily cancel any contract in respect of which payment has fallen in arrears, and in the event of this right being exercised, the full balance still owing shall immediately become due and payable on demand. Certain parts covered by the Client's itinerary may be areas where there is a high-risk of malaria and other tropical diseases. 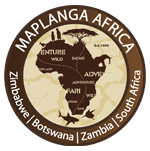 Maplanga STRONGLY recommends that the necessary precautions be taken in this regard and recommend that the Client check with his/her medical practitioner before departure or a medical practitioner well versed in tropical diseases immediately upon the Client's arrival in Africa or any other tropical or sub-tropical destination. This may be purchased up to 60 days prior to departure. The Client can place a foreign exchange order with his/her Travel Consultant. Foreign exchange regulation compliance is the Client's exclusive duty. This will apply especially when the Client instructs Maplanga to make and pay for travel arrangements on the Internet. Subject to statutory constraints or compliance with an order of court, Maplanga undertakes to deal with the entire Client's information of a personal nature on a strictly confidential basis. Maplanga will provide certain relevant and crucial information to the Suppliers for the purpose of the Client's booking only, which the Client hereby consents to. Certain destinations may require a departure tax and/or game reserve fees (as the case may be) which is payable locally upon departure in cash. This tax and/or fee is not included in the prices quoted. If any clause or term of this Contract shall have been held by a court of competent jurisdiction to be invalid, unenforceable or illegal, then the remaining terms and provisions of this Contract shall be deemed to be severable therefrom and shall continue in full force and effect unless such invalidity, unenforceability or illegality goes to the root of this Contract. In this Contract, headings are for convenience and are not intended to be used to interpret the Contract. If the Contract refers to a Party that is liquidated or sequestrated (or has been through a comparable process under a different legal system), then the Contract will also be applicable to and binding on that party's liquidator or trustee and successors in title, as the case may be. Unless this Contract indicates to the contrary, any references to any gender includes the other genders, a natural person includes an artificial person and vice versa, the singular includes the plural and vice versa. The rule of construction that the contract shall be interpreted against the Party responsible for the drafting or preparation of this Contract, shall not apply. Where in this Contract provision is made for the Parties (or either of them) to agree on or grant approval in respect of any matter, such Contract or approval shall only be valid and binding on the Parties thereto if reduced to writing and signed by the duly authorised representative of such Parties. Such contract can be considered to be reduced to writing if contained in an electronic communication and/or email as defined by the Electronic Communications and Transactions Act 25 of 2002. The use of the word "including" followed by a specific example shall not be construed as limiting the meaning of the general wording preceding it and theeiusdem generis rule shall not be applied in the interpretation of such general wording or such specific example. All annexures, addenda and amendments to this Contract form an integral part of this Contract. The words and phrases in the Glossary, above, bear the meanings assigned to them and related expressions bear corresponding meanings. This Contract shall be governed in all respects by and shall be interpreted in accordance with the laws of the Republic of South Africa and the Parties hereby consent and submit to the jurisdiction of the South Gauteng High Court, Johannesburg. The Parties consent to the jurisdiction of the Magistrates Court in respect of any claim arising out of or pertaining to this Contract even though any claim the Parties may have against each other exceed the monetary jurisdiction of the Magistrates Court. This document constitutes the sole record of the Contract between the Parties in regard to the subject matter thereof. No Party shall be bound by any express or implied term, representation, warranty, promise or the like, not recorded herein. No addition to, variation or consensual cancellation of this Contract, or this clause, shall be of any force or effect unless in writing and signed by or on behalf of all the Parties. No indulgence, which any of the Parties ("the Grantor") may grant to any other or others of them ("the Grantee(s)"), shall constitute a waiver of any of the rights of the Grantor, who shall not thereby be precluded from exercising any rights against the Grantee(s) which might have arisen in the past or which might arise in the future. "I understand and am aware that during the trip in which I will participate under the arrangements of Maplanga and its agents, associates, affiliated companies, or subcontractors, certain risks and dangers may arise, including but not limited to the hazards of travelling in unsafe areas or under unsafe conditions, the hazards of travelling in politically unstable areas, the dangers of civil disturbance and war, the forces of nature, the negligent or reckless acts or omissions of, and/or the bankruptcy, insolvency or cessation of services by Maplanga's affiliated companies, airliners, other third parties or subcontractors. In consideration of, and as part of the payment for, the right to participate in such air itineraries, I have and do hereby expressly assume all of the above risks. The terms of this contract shall serve as a release and express assumption of risk for myself, my heirs, assignees, administrators, executors, and all members of my family, including any minors accompanying me. I have read and fully understand the provisions and the legal consequences of this Release and Assumption of Risk and I hereby agree to all its conditions, especially noting and agreeing to the portion of this provision that releases Maplanga and its agents, employees, officers, directors, associates, affiliated companies, and subcontractors, to the extent permitted by law, from liability for the negligent or reckless acts or omissions of Maplanga's affiliated companies, air liners and subcontractors." I accept full responsibility for notifying and bringing all of the above contents to the attention of all other persons on whose behalf the booking has been made, and I accordingly indemnify Maplanga against any claims made by any or all other Travellers."